I’m going to outdoor ed with the fifth graders today. We are going to a YMCA camp that’s halfway to Hana. It’s gorgeous there. There are a bunch of different fun activities for the kids. One of the activities is decorating tshirts. I was in charge of checking the old tshirt paint and getting new ones as needed. 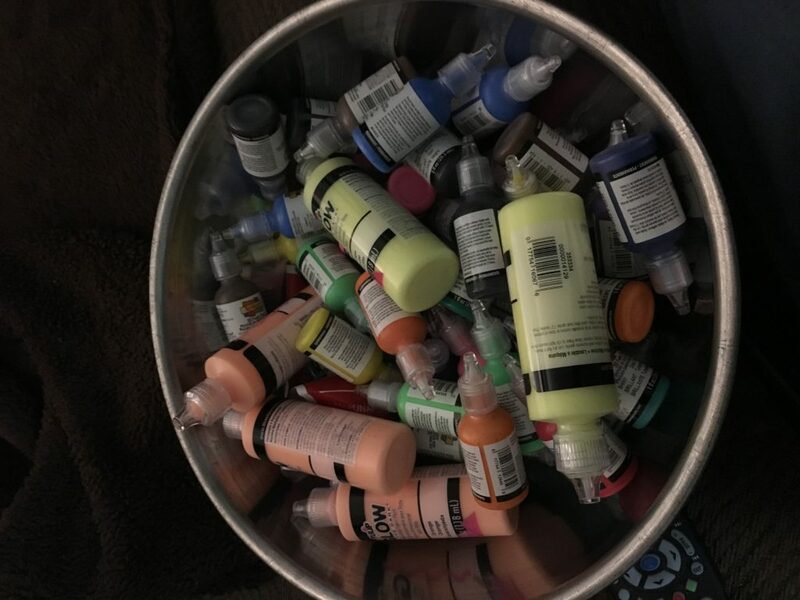 I absent-mindedly left the bag of last year’s paints on a bench by the office, and they disappeared. Dang. So yesterday after school, I stopped by the craft store to buy all new. I spent a lot of money. On the plus side of things, I spent so much money that buying a discount membership card ended up being an economical move, so now I can get 10% off all my purchases at the craft store. Yay! I wanted to be sure not to run out. There is a weak signal at the camp, so I probably won’t be able to upload any pictures to posts while I’m there. I will try to at least give some short reports. I hope you are able to turn in that receipt. I am all for supplementing the school budget, but knowing Maui’s pricing system, that’s probably a thousand dollars worth of paint, isn’t it?